The Shiba Inu Husky Mix—A Fearless Little Pooch! 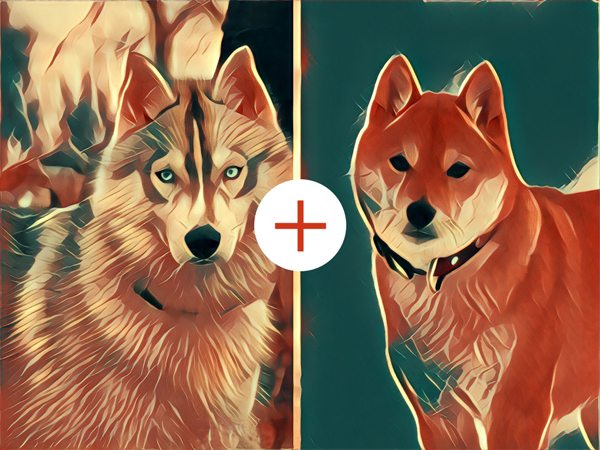 The Shiba Inu Husky mix is truly a designer breed that’s going to captivate the hearts of any dog-lover. They may also go by names such as the Shiba Husky, Husky Inu, or Siberian Shiba. These medium-sized mixes often inherit the bright minds of the Siberian Husky and the fearless nature of the Shiba. So, if you’re looking to get yourself a unique breed, well-tempered breed—look no further! 5 Things You Didn’t Know About This Breed! 1) Because of their husky personality, the Shiba Husky cross can have a high prey drive! This means that they’re going to love chasing anything they can. So, be sure to socialize them with other pets while they’re young! 2) Huskies are mischievous dogs! So, your Shiba Husky is very likely going to trouble you a lot. 3) If they’re kept well, these designer dogs can have a lifespan anywhere between 12 to 15 years. 4) They need firm owners who will be able to train them well! These dogs are intelligent but stubborn. 5) Neither the Shiba Inu nor Husky are hypoallergenic. So, these hybrids will shed a lot, particularly during spring and summer. What Does The Husky Inu Look Like? The Husky Inu can be considered a medium-sized dog as they often stand anywhere between 13.5 to 16.5 inches tall. However, some Husky Inus—particulary males, can reach up to 18 inches in height, if they take on more of a Husky appearance. Tipping the scales at almost 30 lbs, these graceful pups will appear to hold a strong, compact body. His face may appear to resemble a fox—which is a characteristic feature seen in the Shiba. Shiba Inu Husky mixes tend to have high set, medium-sized ears that may be triangular in shape. Their eyes are almond in shape and can come in blues, browns, amber, or can be heterochromatic. If you’re someone who enjoys the cold winters, then you should know that these dogs make great buddies for beating that winter blues! This is because the Shiba Husky cross inherits the medium length, dense double coats of the Husky, making him an excellent winter-loving dog. We’ve all seen those adorable videos of Huskies howling away at their owners. So, when it comes to considering the temperament of the Shiba Husky mix—owners need to keep in mind that these dogs may inherit these “vocal” abilities of the Husky. In general, Shibas are generally considered quite dogs—while, Huskies are considered the “yappers” of the doggie world. So, a hybrid of the two parent breeds may entail that your dog has the potential to either be really quiet, really loud, or somewhere in the middle. Apart from their potential to be howlers—the Shiba husky cross is actually considered a very sweet, friendly, family dog. They aren’t the kind of dogs that can be left alone for too long. These are the pups who are highly energetic—and, sometimes clingy! Nevertheless, if your cross inherits more “Shiba-like qualities” then it’s quite possible that they may be a lot more independent and standoffish. The Siberian Husky is a breed that may inherently develop disorders such as degenerative myelopathy, idiopathic epilepsy, follicular dysplasia, ventricular septal defects, and hip dysplasia. In contrast, the Shiba Inu is most prone to developing orthopedic conditions such as hip dysplasia. One of the biggest ethical considerations about each of these parent breeds is the significance of genetics, and proper breeding. The biggest problem these dogs face occurs as a result of backyard breeders and puppy mills. This is because industries such as these only seek to produce as many “purebred” puppies, as fast as they can in order to make a quick buck! So, as a result, many dogs from these types of breeders will inherit genetic disorders and conformational disorders. Because of the immorality of such conditions and lack of proper genetic monitioring—This has perhaps become one of the largest, and most talked about debate among animal welfare activists. What Should You Do When Selecting A Puppy? We always recommend that pet owners wanting to buy a designer breed should do their research on how to spot a responsible breeder. Alternatively, pet owners can choose to adopt a lovely rescue pup from the local pound or SPCA. Conclusion…Is The Shiba Husky Cross Right For You? Shiba Husky crosses are active dogs, that do thrive in a family environment. These hybrids can make great pets as they possess the friendly nature of the Husky and the cunning minds of the Shiba Inu. But, being a hybrid, it’s important to remember that every dog is going to have a different personality.